Bob attended college at the University of Wisconsin — La Crosse, graduating with honors in 1987 with a degree in business administration. 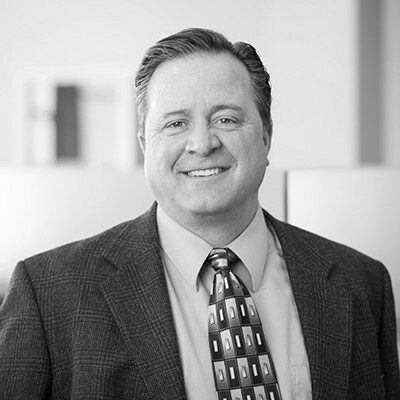 During college, Bob worked for Gunderson Clinic/ Lutheran Hospital in the marketing and referral services department. He gathered physician referral pattern data and helped design market research studies. After college, Bob worked for Wausau Insurance Companies where he progressed from an entry-level position to account executive. As an account executive, Bob managed over $20 million in annual premium equivalency — one of Wausau’s youngest producers to reach this level. In 2001 Bob joined MMA to open its Duluth office. He was initially attracted to MMA because of its entrepreneurial spirit, management and employees. Additionally, he realized the potential of MMA’s service platform for greater Minnesota and Wisconsin — few companies offered the services and ability to truly manage corporate risk. Bob has developed risk management and employee benefits programs for a wide variety of private sector clients within the manufacturing, construction and building trades, health care and lumber industries. He also has managed insurance programs for many public entities including school districts, municipalities, townships and county governments.